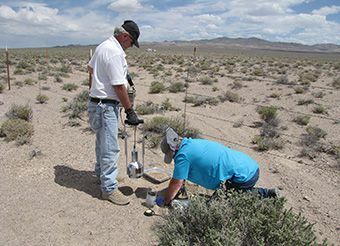 As a result of historic nuclear testing, some land and facilities at the NNSS and on the adjacent U.S. Air Force range were contaminated by radioactive and/or hazardous material. Most of these sites have been addressed and completed in accordance with an agreement with the State of Nevada, known as the Federal Facility Agreement and Consent Order. 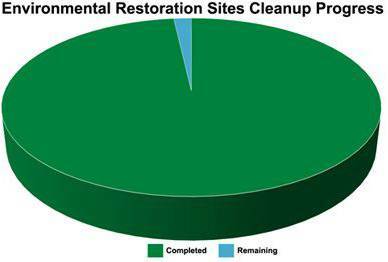 Examples of restoration activities that have occurred include soil removal and building demolition. 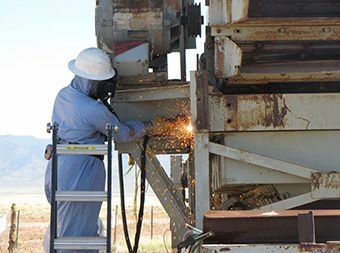 Click here to view the complete list of planned, in progress and completed remediation projects listed in Appendix II through IV of the Federal Facility Agreement and Consent Order. Open an interactive map for detailed information on each site. Managed and operated by Mission Support and Test Services, LLC for the Department of Energy's National Nuclear Security Administration.